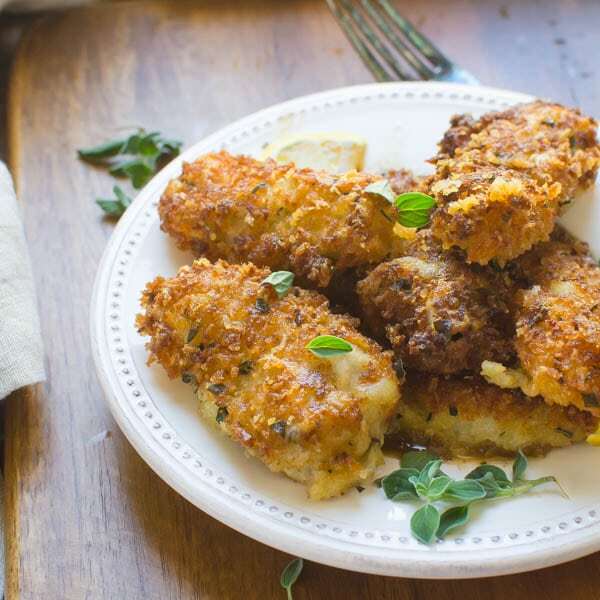 If you’re looking for an appetizer that WOWS, try Pan-Fried Oysters Oreganata. This simple, reliable pan fried oysters recipe, is boosted to oreganata status with fresh oregano and a lemony butter sauce. 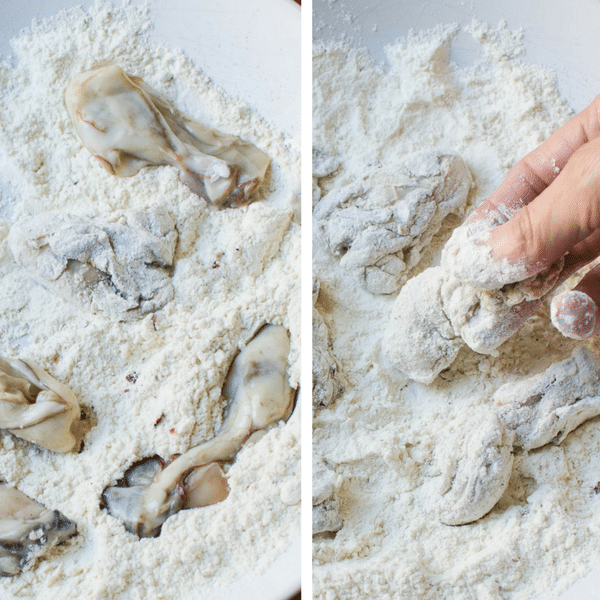 If you’ve ever wondered how to fry oysters, I’ll show you, step-by-step. Have I got a good one for you today… oysters. And you don’t even have to fuss with prying them out of a shell because Pan Fried Oysters Oreganata benefit from a pint of pre-shucked oysters. Not the canned, shelf-stable variety — the refrigerated kind. If you’re looking for a deliciously different appetizer, these tasty pan fried oysters are the way to go. If you’re not a raw oyster lover, I get it. 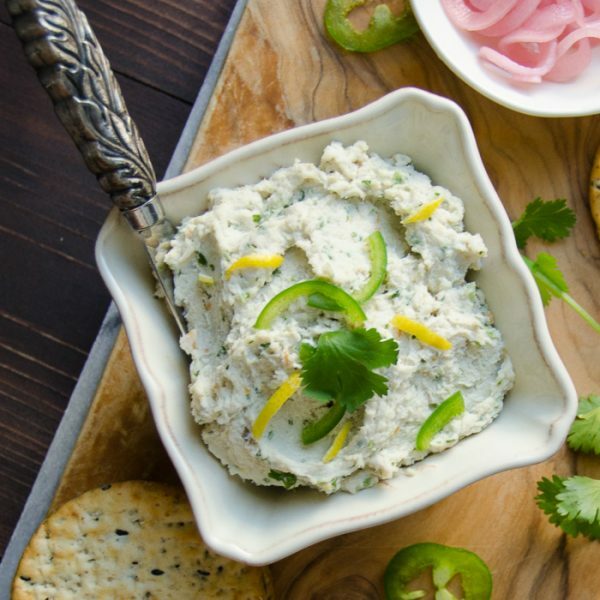 They can be an acquired taste, so if you are on the squeamish side, this preparation might change your mind. 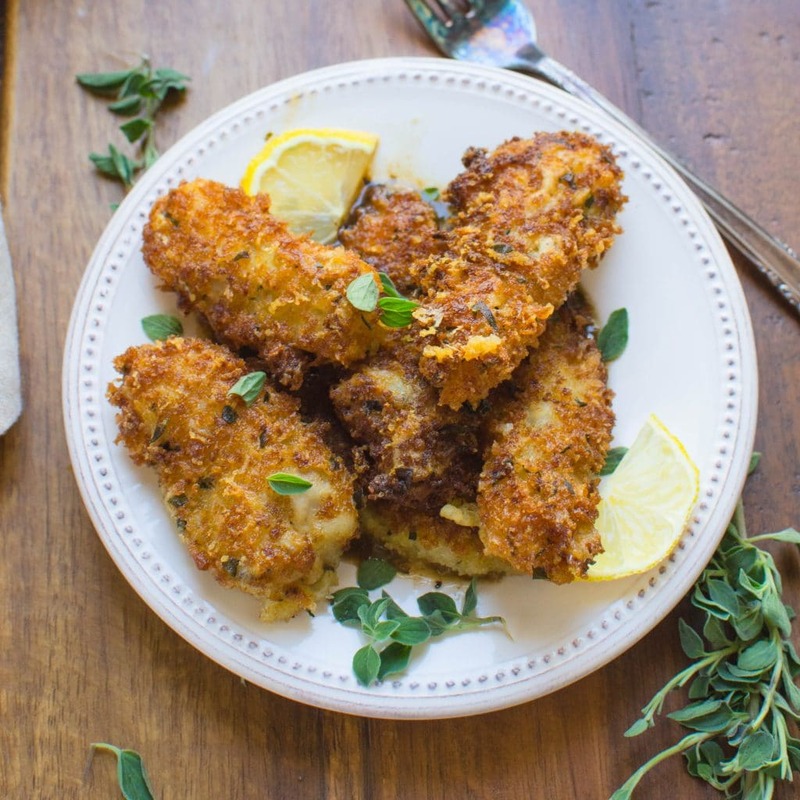 Dredged in a crunchy crust and served with a lemony oreganata butter sauce. 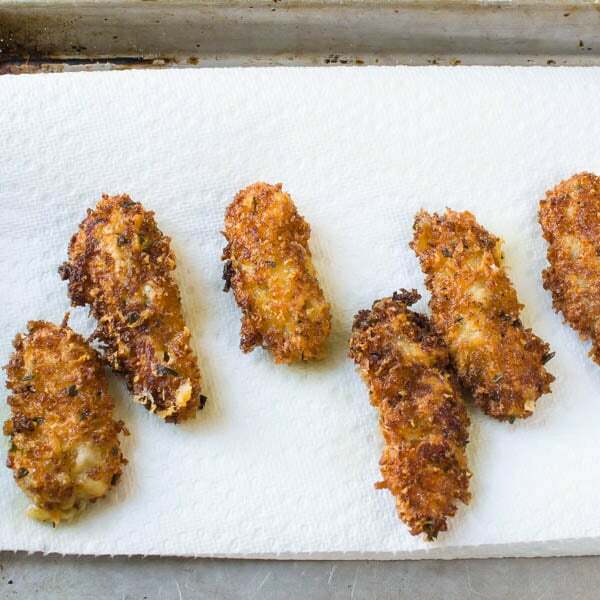 I mean yes, it does start with raw oysters, but the end result is a hot crispy bite that’s transformative, especially with a cold cerveza or chilled oaky chardonnay. If you’re like me and grew up near the Chesapeake Bay… you were practically weaned on blue crab and oysters. Which is why these pan fried oysters are so special — they remind me of home. If you’ve ever wondered how to fry oysters, I consulted with Chef/Angler and overall seafood mentor, Joe Cascio, who previously owned Joe’s Riverside Grille in Pompano Beach, FL and Square One Fish Company in Athens, GA and he generously shared his pan fried oysters recipe with me. I’ve stuck to his recipe pretty faithfully with a few minor exceptions — he called for 3 cups of oil to fry the oysters — I think this comes from the restaurant business where EVERYTHING is done in big quantities. I scaled it down to a more manageable amount. I also added a pinch of fresh chopped oregano to the sauce — and I mean a pinch — too much will overwhelm. Let’s start with the oysters… I’m not going to tell you NOT to use fresh oysters in the shell, but to me, the beauty of oysters in their shell is that they CAN be slurped AS IS with their fresh brine and nothing more. So for this preparation, I’d recommend a pint of refrigerated fresh oysters… I’ve just saved you 20 minutes of shucking and probably a few cuts. Drain the oysters from their brine. 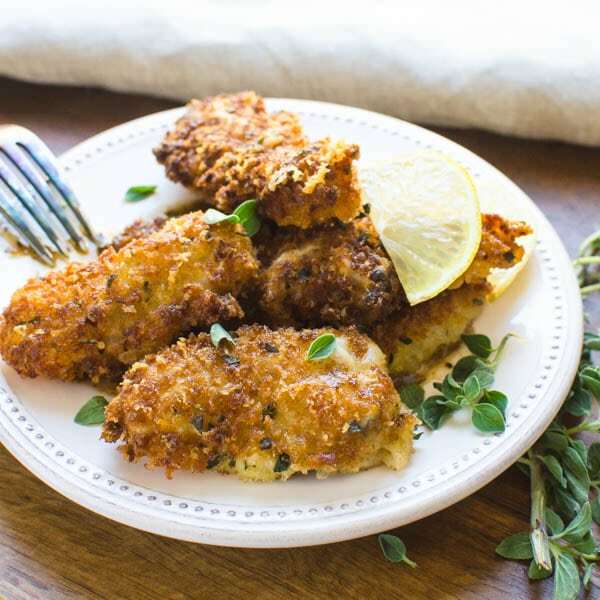 Prepare a dredging station of seasoned flour, whisked egg and jazzed up panko breadcrumbs (see recipe). 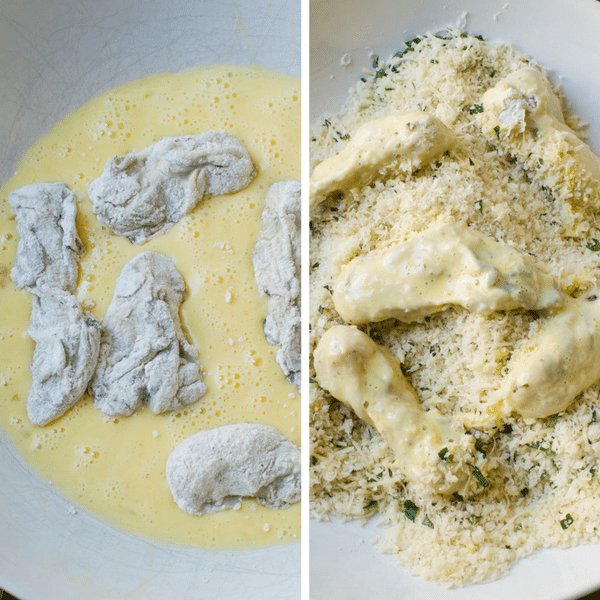 Start by dusting the oysters in flour, followed by a quick dunk in the egg and finally coat them in the panko blend. 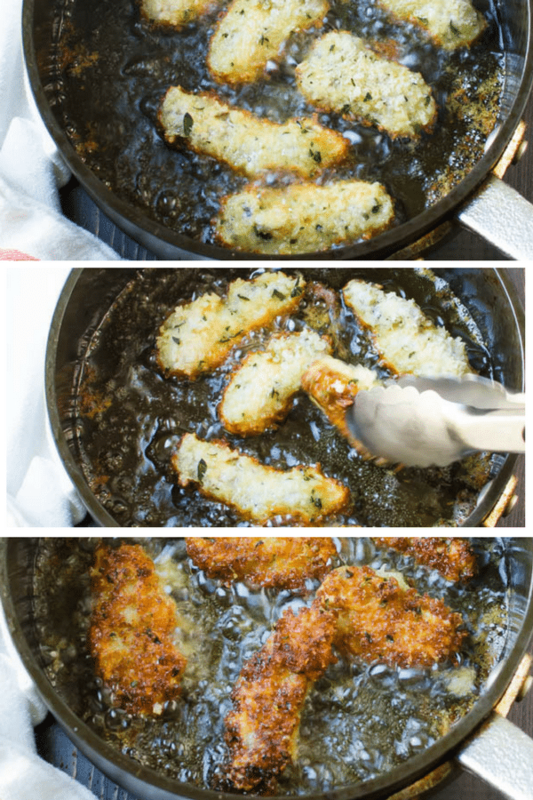 Use a heavy skillet with a 3″-4″ lip and heat the oil to 325°. Note: you’re not filling the pan with oil, just add it until it’s about 1/2″-1″ deep. Fry the oysters 3-4 at a time for about 1 – 1/2 minutes on each side. Flip them with a pair of tongs. Transfer the oysters to a paper towel lined tray and continue with the remainder of oysters. Drain most of the oil from the pan, leaving just two tablespoons. Brown the lemon slices in the hot oil, then stir in the butter a tablespoon at a time to create a rich lemon butter sauce. Add the freshly chopped parsley and a pinch of chopped oregano. (the oregano is my addition, not in Joe’s recipe) NOTE: fresh oregano is strong — you don’t need a lot to get a lot of flavor, so add your “pinch” sparingly. Do not pour the sauce over the oysters. Why? Because you just fried them and they’re nice and crispy. Instead use this pro tip: Spoon a few tablespoons of sauce onto a plate (I use a saucer – because it creates a nice well for the sauce) and top them with the fried oysters. That way they stay crunchy until you run them through the pan sauce. Look at that golden crust! You can imagine the crunch that’s inevitable with your first savory bite. 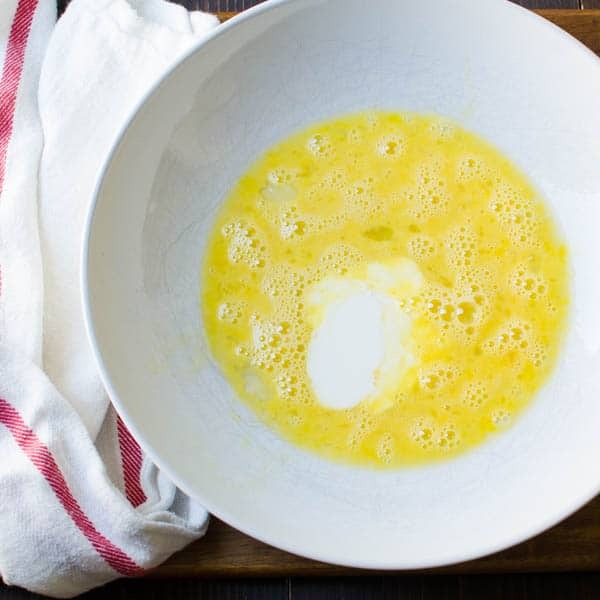 The pan sauce is a smooth buttery emulsion with a tangy lemony finish. I love the fresh parsley — and a hint of oregano that tie the whole dish together. Pan Fried Oysters Oreganata are a real treat — ask my official taste tester who wolfed down a plate of these as soon as I took the last photo. 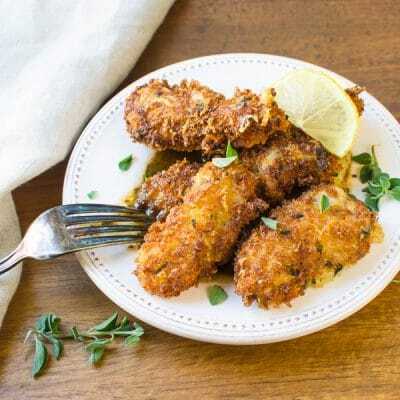 This indulgent appetizer is one of my favorites, with a crispy crust and tender, briny oysters -- dipped in a buttery herby sauce. Set up a dredging station with 3 shallow bowls or dishes: 1st bowl is flour, 2nd bowl is egg and half and half. 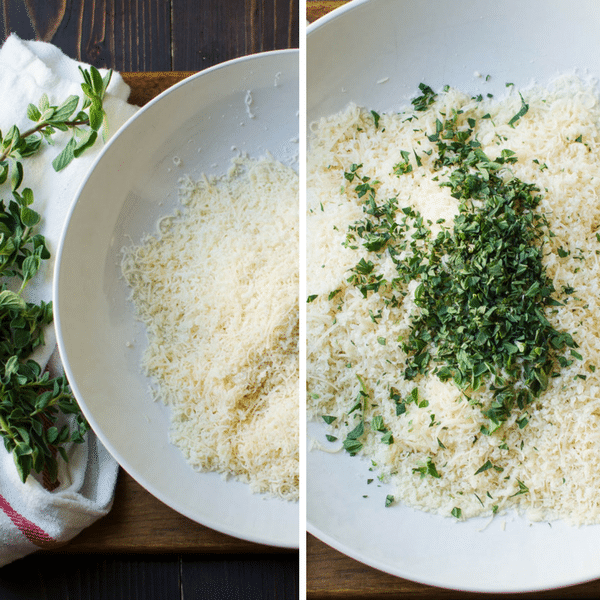 3rd bowl is panko, asiago, parmesan and oregano. Add enough oil to a heavy skillet (with 3"-4"sides) to reach about 1" in depth and heat to 325°. (Use a thermometer for correct reading). Dredge the oysters in the flour, followed by the egg and half and half and finally the panko mixture. Transfer the oysters to the pan, cooking no more than 3-4 at a time for about 1-1 1/2 minutes on each side. 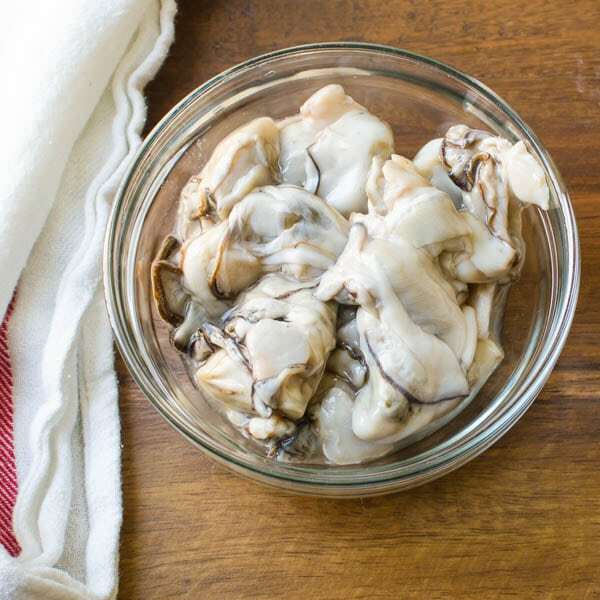 Transfer oysters to a tray lined with paper towels and continue with the rest of the oysters. Drain all but two tablespoons of oil and return the pan to the heat. Add lemon slices and cook, turning once until they are browned. Add 1 tablespoon lemon juice and stir. Continue stirring while you add butter, one tablespoon at a time to the pan. Just before the first pat of butter is completely melted, add the next pat. Continue in this manner until the butter is used and you have a sauce. Stir in the parsley and pinch of oregano. Spoon the lemon butter sauce onto 4 plates and top with 3 oysters each. Serve. I’m going to use your delicious-sounding recipe to fry up some oysters. My one question is “HOW MUCH LEMON JUICE” for sauce??? Thanks for that catch. 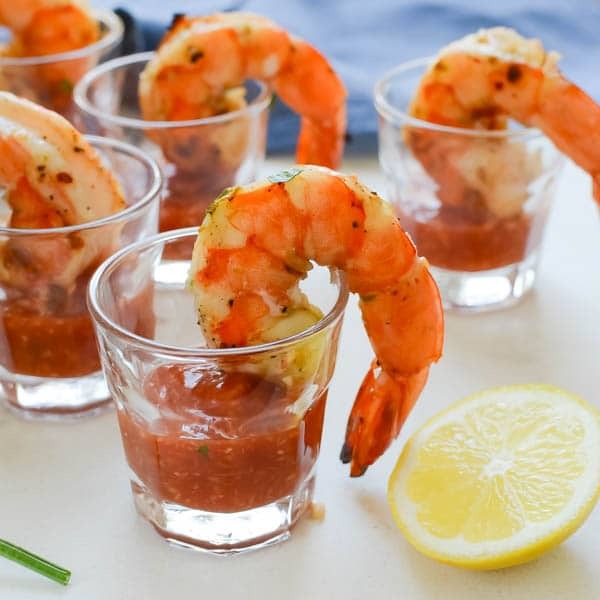 Add one tablespoon of lemon juice to the sauce. These look amazing! My husband seems to have an intolerance of oysters so I don’t have them all that often, but I tihnk I’m going to have to try these for myself! I love the sound of that lemony sauce too. We inhaled these, Caroline! I hope you like them too! Absolutely delicious. The crusting of the brown breadcrumb mixture adds a wonderful consitency when you bite in. These are ther best fried oysters I ever had. This is something that you would expect as an appetizer in a very high class restaurant. Thank you for sharing. I’m so happy you enjoyed it. It’s a favorite for oyster lovers, for sure! 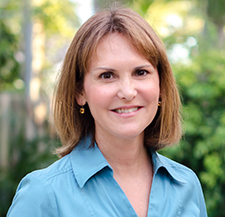 These look so good, Lisa! My husband and I have a new found love for these! This will be my next way to try them!! I love the idea of this sauce. I bet these oysters taste out of this world delicious. Pinning. I need to try it for sure! I have only ever had oysters fried before and they were really good. I’m going to have to try this version too. I like this because you don’t have to pull out the deep fryer. Ok this year I’m going to try oysters again and I’m determined to like them. My boyfriend is crazy about oysters so he would love if I made this for him. It looks delicious! I don’t know if I would ever try raw oysters, but these are right up my alley. They look like the have the wonderful combo of crunchy and chewy. 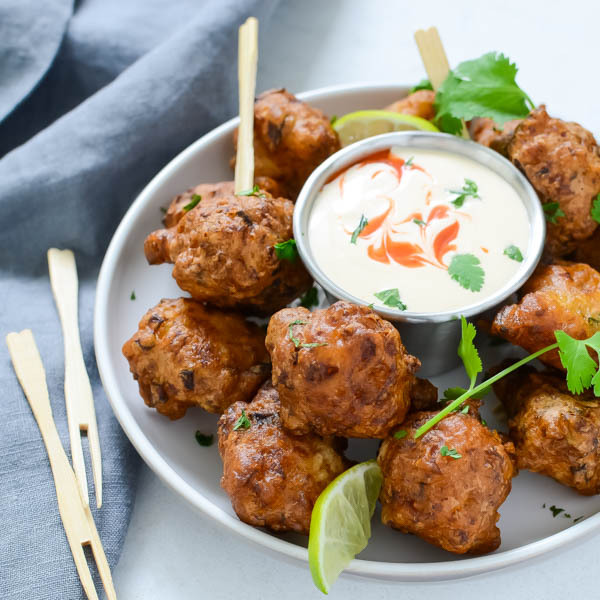 They are crunchy and very tender, not so much chewy — and THAT SAUCE! Beautiful prep! 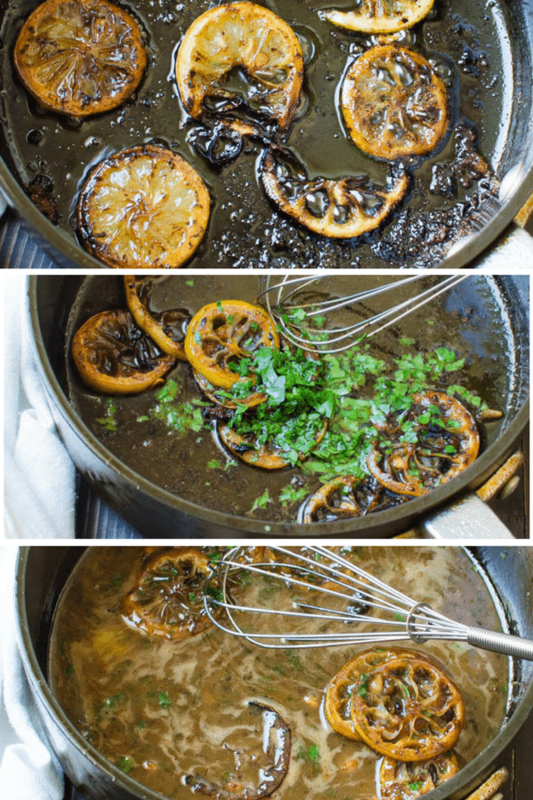 Frying the lemon slices is genius!